The developer team responsible for Firefox on mobile devices today have offer the first Firefox preview for tablets devices they’re currently building. Mozilla describes Firefox for tablets as “an evolution of its phone based predecessor, with some added enhancements that take advantage of a tablet’s larger screen size.” The tablet version will have more elements than the phone version of Firefox, like the tabs which you won’t find in the phone version. This version also has a lot of similar elements as Firefox such as the back button and the “Awesome” function that searches bookmarks, history and synced desktop activity. 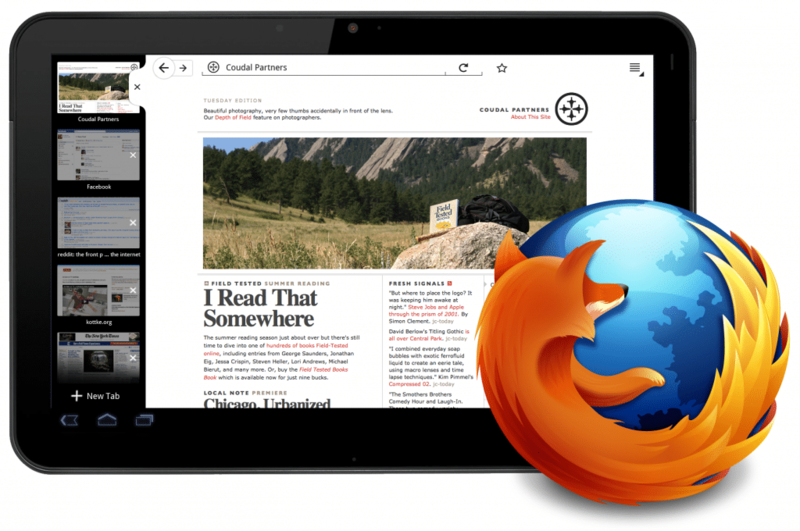 Mozilla hasn’t announced a release date or mentioned whether it will be available on the iPad’s iOS or not.